Please join us at the Schneeweiss Athletic Complex for fun, competition, charity and a sporting event everyone can enjoy! Proceeds will go towards building a GO! Kart for a local Children's Hospital. All participants will be competing at the 100 CC level on the Wii and prizes will be awarded to the top three finishers. GO! starts at 12:00 pm. 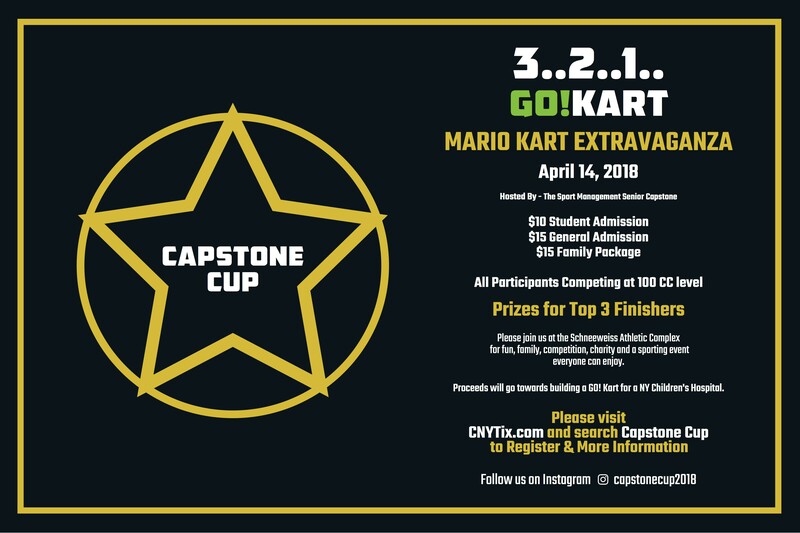 Follow us on Instagram @capstonecup2018 for further information.